There’s a famous quote “The world is a book, and those who do not travel read only one page.” True to these words, my hubby and I are passionate about travelling. Be it a long weekend or festive days off, we are off the beaten road, exploring new destinations. Road trips give us that adrenaline rush, Delhi-Mumbai and Delhi-Kedarnath base camp being some of our memorable road trips. But what happens when an avid traveller is kept away from her passion? Well, she feels like a sick person. That’s exactly how I felt when I became pregnant. We had recently relocated from Delhi to Mumbai and there had not been a single long weekend when we didn’t explore the lovely getaways around Mumbai. However, the moment I made that call to my parents and in laws to give the good news, the first advice, rather order from them was, “Now apply brakes on your travel and relax at home for nine months.” Relax at home! But setting out off the beaten path was our way of relaxing, away from the maddening rush of the city! Did pregnancy stop me from enjoying travel? The answer is a big NO! Pregnancy is not a disease. I did two solo air travels during pregnancy – first, shortly after I discovered I had conceived, and the second in the 7th month. Like a good girl, I obeyed my doctor and elders and avoided road trips till I completed the first trimester. The severe morning sickness was also a big factor keeping me away from travel. However, the situation improved by the time I hit the second trimester. Morning sickness was gone and I regained my energy levels. Hubby and I were craving to travel. We knew once the third trimester would begin, we wouldn’t be able to hit the road for a long time, and then we wouldn’t be able to travel with an infant that comfortably. So, towards the end of my second trimester, we cashed in on a long weekend and went for a memorable Babymoon! Not for a second did pregnancy come in the way of enjoying my trip, thanks to few basic rules I followed. I am sure these tips about travel during pregnancy will come handy to all my expecting friends who love to travel! Traveling during my second trimester! Pregnancy may not be the best time for adventure or experiments. So if you have been planning that camping trip since long, it can wait for a few more months. It is always good to choose a destination to which a friend or acquaintance has been recently. Research about weather, road conditions, driving route, medical facilities, market etc. will never go waste. Every pregnancy is different, and no two people are alike. Your gynaecologist will do a check up and tell you if you are fit to travel. Before each trip, I explained my plans in detail to my gynaec who advised me the do’s and don’ts as per the stage of pregnancy I was in. If you want a hassle free travel, prefer comfort over style. I know it’s very common for a pregnant lady to shy away from getting clicked, thanks to acne, pigmentation, swelling, tremendous weight gain etc. Often, she feels like squeezing into stylish but uncomfortable clothes to get the perfect travel pics. However, your growing body, just like your baby, needs space. So wear something comfortable. I used to feel unusually hot during my pregnancy, so I stuck to cotton clothes. Also don’t ignore the right shoes as you will always be on the go! It pays to maintain the golden rules while travelling in a car – maintaining optimum speed, taking short breaks, sitting in the front seat to avoid bumps, slowing down on speed breakers and potholes, and wearing a seat belt. Also, keeping a cushion supporting the back and feet really helped me. This is the safest mode of travel for pregnant women. It is best to refer to airlines guidelines for pregnant women well in advance. Most airlines allow travel without a doctor’s certificate until 27th or 28th week of pregnancy; however don’t permit travel after 35-36 weeks. Since I was travelling alone, informing the airline about my pregnancy was of great help. Not only did the crew help me with the luggage, they also saved me the torture of waiting in queues. I was automatically shifted to an aisle seat which made it comfortable to visit the washroom frequently during the flight. Not all medicines are easily available at a tourist destination. So, don’t forget to keep extra strips, in case of emergency. While making a reservation, my hubby casually informed the hotel staff about my pregnancy and checked for medical facilities around. To our surprise, I was given special care by hotel staff during our stay, from a room near reception, to complimentary foot massage . Well, all hotels may not be that proactive, so always inform about the pregnancy and check for medical facilities available in house and around. It may be a great idea to ask for a room near the entrance, since the last thing you would want at a crucial time is to drag yourself through the long path to the entrance. While I may sound boring and old fashioned, my thumb rule to a trouble free holiday is – avoid outside food as much as possible. Discovering highway cuisine and local street food is always on my itinerary and I love munching on namkeen and chips during the drive. However, during pregnancy, I carried home cooked food enough for 2 meals, along with a lot of fruits, nuts and healthy snacks. I also ditched the salty chips and namkeens to reduce water retention. Your eating routine gets disturbed during trips and a long journey can be exhausting for mother and the baby. So, it might be a great idea to keep munching something healthy frequently. While I was really tempted at the sight of the lavish buffet at the hotel, I restricted myself to light food such as salad, moong dal and chapati. While opting for room service, it’s a great idea to tell your food allergies and ask for simple oil free food. Often, water is the most ignored aspect during travel. We try to stay away from frequent toilet breaks and often don’t feel thirsty while the AC is on. However, a pregnant lady needs to drink more water, to maintain the fluid levels. So, always carry your bottle of water. Pregnant women are the most susceptible to urine infection during a road trip, since they have weak bladder control. Often, one has no option but to manage with the shoddy washrooms of motels. Carry a toilet seat sanitizer and use a feminine wash to keep infection away. You must be wondering, “Who sleeps on a holiday”? However, pregnancy is the time when our stamina witnesses a huge decline. Getting adequate rest is essential to recharge your batteries for next day’s sightseeing. So now matter how much tempting that Ghazal night in the restaurant might be, hit the sack on time. Lastly, follow your instincts and listen to your body. Pregnancy is a great time to take a break and relax. With these simple tips in mind, one can enjoy travel without compromising on the safety factor, like I did! 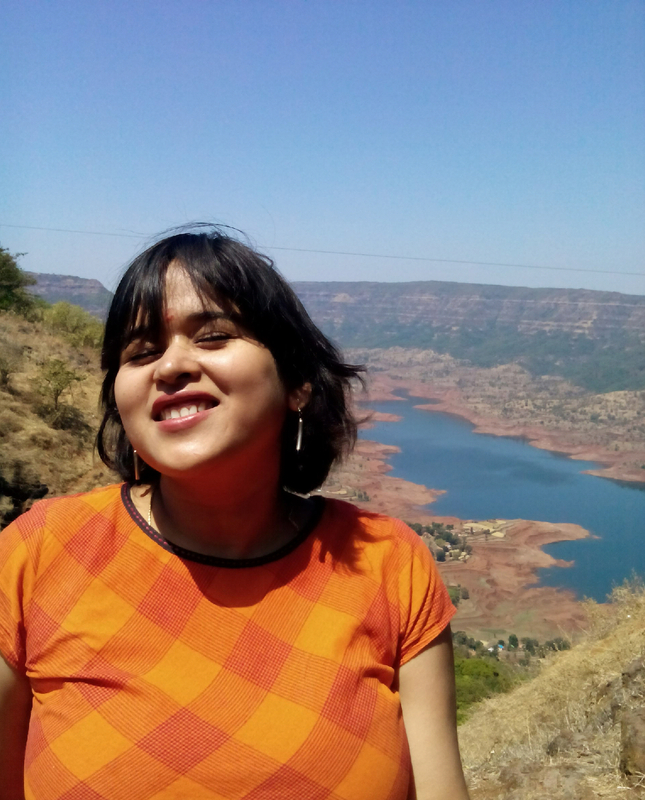 Shaivi says – Banker by day, blogger by night – that’s me. After a decade of dabbling into hospitality, corporate communications, training, employee engagement and banking, motherhood is the new role that keeps me on my toes! Nothing gives me more happiness than bringing a smile on someone’s face and learning something new each day; and blogging provides me a platform to do that. I blog at Shaivi ka funda. So here I am, to share my experiences as a new mom and get insights from experienced parents.